Are you looking for SEO marketing strategies to generate more sales but you’re not sure if it works? My guess is you’ve visited many SEO companies’ website (including this one) gathering information on the benefits of SEO marketing and why you should start an SEO campaign for your company. However, SEO Marketing might not be suitable for every business. Do you want to know why? We turn down an average of 6 to 7 of 10 potential leads who approach us inquiring about our SEO services. Here are some of the email conversations we had with our clients where we advised our leads not to start SEO marketing. You might be wondering why? You might even think we’re mad, turning down clients like that. Everyone is trying to boost their sales, but you are pushing potential customers away? The answer is simple. It is about long term ROI and partnership with our customers. There is no point in starting an SEO campaign, get their website on page 1 but that won’t be able to generate sales for our clients (We’ll explain more on this later…). Our goal is to help our clients grow their business. 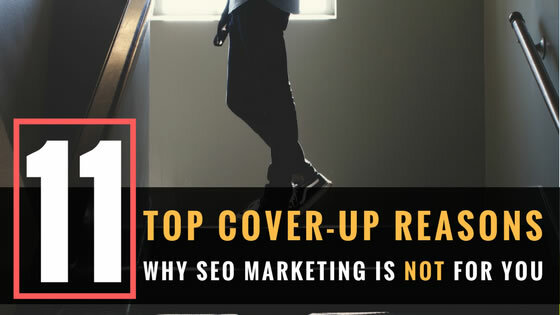 Here is our list of the top cover-up reasons why SEO marketing may not be right for you. 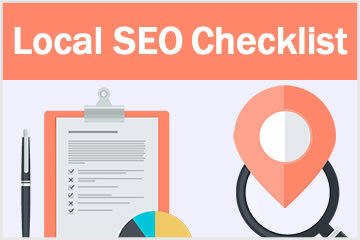 However, if you wish to stay on top in Google search results to show that you are an authority in your chosen online niche, it will be a different purpose. SEO marketing is all about bringing targeted traffic to your website. More traffic, more sales. If the target keywords have small monthly searches like 10 or 20 searches per month, it may not be worth starting an SEO campaign. The reason being despite a number 1 ranked website the maximum visitors you will get are limited. However, an exception can be given to companies who sell high-ticket products/services. For example, a renovation contractor or roofing contractor making a minimum of 5 or 6 figures on each deal. 10 monthly searches is a good number because if they can get 1 or 2 leads, they can potentially bring in 5-6 figures of revenue which more than covers the SEO cost. We often measure the ROI of SEO campaigns based on LCT value and not profit per transaction. LCT value accounts for the revenue generated over a period time for every customer. High-priced products & services which generate high revenue per transaction. E.g. law firm, roofing contractor, renovation contractor, bungalow builder, travel agency, wedding photographer, event planning and corporate training. These niches usually charge 5-6 figures per sale. Product/Services with low sales/revenue per transaction but are a regular need for customers. E.g. plumbing, aircon servicing, cloud software, web hosting and early childhood school. Let’s assume an aircon contractor charges RM 300 per service. But if the contractor delivers good service, we will mostly like hire them back for the next several years. If we use them 3 times a year for 5 years, the LCT value for each customer is RM300X3X5 = RM 4500. SEO marketing is still viable for an aircon contractor. But, if you are selling low LCT value based product/services that don’t have recurring sales, SEO marketing may not be advisable because the revenue won’t be able to cover SEO expenses unless you have a high volume of transactions. For example, selling cheap women’s outfit, gift accessories or stationary online. The revenue generated per sale is small wherein it requires you to sell thousands of items in order to cover the cost. It becomes even worse if the monthly searches for the related keywords of your product are low. There is no way you can generate thousands of sales based on the limited amount of traffic. Google AdWords is a paid ad allowing business owners to place their ads on page 1. 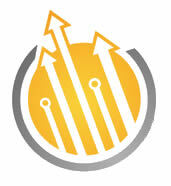 It charges by cost per click (CPC) depending on the niche and target keywords. E.g. CPC for a low competition niche may start from RM 1 per click. Plus, if the target keywords’ monthly searches are low, the best option is to use Google AdWords to deliver the most ROI. It doesn’t make sense to do SEO on products with low traffic because it takes a few months to achieve the desired result. On the other hand, if the CPC is high, SEO is a good option. The top 20 most expensive keywords in US are range from USD290 to USD 900 per click. Yes. This is not a typo; it can cost up to USD 900 per click. Find out more at https://searchenginewatch.com/2016/05/31/the-most-expensive-100-google-adwords-keywords-in-the-us/. Poor website design is bad for sales conversion online. It doesn’t keep users engaged. Once visitors enter your site and they will leave immediately. This increases the bounce rate which will impact your website ranking immediately. When bounce rate is high, Google assumes this website doesn’t meet user’s expectations. And user experience is a top priority for Google. Thus, it will decrease the ranking gradually since users don’t like to stay long on the website. This is why a poorly-designed website can indirectly impact page ranking. Google reported that mobile searches have surpassed desktop searches since August 2016 (http://searchengineland.com/report-nearly-60-percent-searches-now-mobile-devices-255025 ). And the trend of mobile web browsing continues to rise over time. What does this mean to a business owner like you? It is obvious. If you do not have a mobile friendly website, you will lose 60% of your site’s traffic. There is no point to start your SEO marketing campaign while wasting 60% of your traffic. Fortunately, you can fix it by revamping the website to become a more mobile responsive website. In certain cases, there are too many barriers in closing a sale. Here is one of the emails I shared with a prospect. The business owner located in Kelantan who is setting up a new e-commerce store selling IT gadgets & home security systems. Very few people buy an expensive product online without strong social proof and reading positive testimonials. E.g. I would prefer to purchase a product from lelong.com with tons of reviews and proof of purchase from society. Location of the online store is far from users who search for products. From our keyword analysis, most users searching online come from Klang Valley even the store is located in Kelantan. If given a choice, I would order the product from stores in Klang Valley so that I can get the product faster and visit the store in case I need customer support or use my warranty. Obviously, it is not easy to generate sales even if the website ranks #1 for all the target keywords. Alternately, spend only a small amount of money on Google AdWords to test the waters before investing heavily in SEO marketing. We do not accept websites that were optimized using an outdated method. E.g. someone may have built a lot of low-quality links with matching keywords in the links anchor text to rank a website. Anchor text refers to the text used within a link. For example, I have a link for the visit Google keyword – the anchor text is “visit Google “. For a website that is over-optimized, it will be penalized by the Google Penguin algorithm. Recovering the site from the penalty imposed on it will be a tedious task because the links are placed everywhere in the site and we can’t modify or remove it. Disavowing the links in the Google Search Console may work but the better option is to start a new domain. Based on our experience, there is a certain niche that doesn’t generate significant ROI even it has decent monthly searches. E.g. Online store for women’s necklaces, outfits, shoes & accessories which are easier to market using the Facebook or Instagram platform. I have many friends who spend a few hundred every month buying things online while browsing on Instagram or Facebook. They never search using the Google Search Engine! Also, these types of product are suited for promotions in social media. You can scale up the traffic with paid ads to get an unlimited target audience. Where search marketing is often limited to the monthly searches for the target keywords. But this doesn’t mean that all niches are suited for social media marketing. E.g. You will never seek a plumber, dentist or lawyer on Facebook. We do not provide SEO service to illegal businesses such as pyramid scams, online money game, online gambling or adult entertainment. We meet numerous start-ups or part-time business owners who would like to try SEO marketing. We usually turn down these opportunities because we believe SEO marketing needs full commitment from business owners. It’s a long-term partnership to make sure their business grow steadily. We have numerous clients who stop their SEO campaign in the middle of the SEO campaign due to a lack of budget. All the SEO work done will be wasted because it has not ranked well yet. The client also loses their initial investment. If you do not want to fully commit to SEO marketing or just want to test the waters, Google AdWords is a better option (…long term ROI is not that high). Let’s face it. Top results for keywords with high competition on the international market has been dominated by large authority websites. Big authority websites have gained this huge advantage in ranking because Google trusts the site so much. You will never be able to rank high even if you provide good content relative to others. E.g. Page 1 search results for “Web Hosting” are dominated by huge authority sites such as Wikipedia, pcmag.com, Godaddy and HostGator. It is almost impossible to rank over them because of the age of those sites and the number of backlinks linking to those sites. In fact, we always advise our clients to be smart and choose the less competitive but “buying” keywords that will still be able to generate good revenue. In this case, “Web Hosting Malaysia” will be a better keyword if you are targeting users who want to host their website in Malaysia. You can rank easier and get better conversions. Thus, we turn down customers who insist on pursuing high competition keywords in the international market. If any of the points above matches your case, you might need to think twice before pulling out your hard earn money to try SEO marketing. However, if you think it is the right time to plan your SEO marketing campaign, we suggest you check out our proven SEO Marketing framework to learn more. This is really a great article Adam. I also turn down over 50% of potential customers for the same reasons, but I have not yet seen them summarized is such a good way! But I believe it is win-win for both potential customer and us so that business owner can focus on the thing that works.